Englishtown, NJ, March 15, 2018- Old Bridge Township Raceway Park in Englishtown, New Jersey will open its motocross racing season on March 18th. 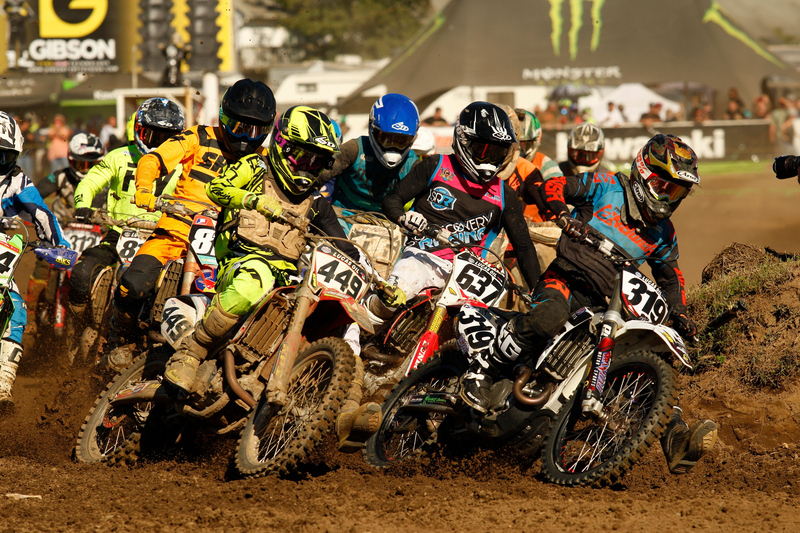 The 2018 season marks the 43rd year that the facility has hosted motocross racing events making it one of the longest consecutively running race tracks in the country. Famous for the annual Kawasaki Race of Champions held each October the Kawasaki Motor Corp and their participating dealers have supported the event for more than 40 years. The race has seen the whos who of amateur racing and the 2018 version will surely be a must to attend. The iconic facility in central New Jersey has hosted a wide variety of activities on the premises and will continue to do so in 2018. Despite the closing of the drag strip portion of the property, Raceway Park will keep most of its operations. Events like the spring and fall auto swap meets, numerous car shows, both motocross racing and practice, kart racing, as well as drifting, a full schedule of road course activities, mud runs, monster truck shows, musical concerts, & festival events and more will all continue at Raceway Park. The opener on March 18th will be the last event on the current racetrack. Following that race, all motocross operations will move to another portion of the property where a new racetrack is under construction. The move will enable the motocross operations to expand and provide a better racing and spectator experience. The newly built track will take advantage of a more substantial footprint providing a new layout suitable for racers of all skill levels. A rebuilt plunge and staircase will maintain the feel of the old track with a new updated flavor. Following the March 18th opener, the track will host an additional nine events for all two-wheel classes. Also included in the 9 season events are several unique races including the NJ State Championships in August and the 42nd annual Kawasaki Race of Champions in mid-October. The track will also host a 6 round Youth MX and Quad series that will take place on Saturday mornings before many the other racing events. For more information on Raceway Park Motocross, along with all of the other activities available, visit them online: www.racewaypark.com. About Old Bridge Township Raceway Park- Founded in 1965 as a drag strip the facility has evolved into more than 500 acres of motorsports and family fun. The facility contains a motocross track, a 1.3-mile road course, competition kart racing track, autocross, ride & drive site, airport and more. From March through November, Raceway Park hosts a full schedule of motorsports events including; AMA-sanctioned motocross racing, ATV racing, kart racing, road course events, corporate gatherings, the annual Englishtown Swap Meet & Auto Show, the largest monster truck shows in NJ and much more. Visit www.racewaypark.com for the complete schedule. This entry was posted in Moto, Motocross, Motorsports, National News, Offroad, Travel by admin. Bookmark the permalink.